Congratulations!! Thanks for making this 10th SGS&C Anniversary a success. The Serious Games Showcase & Challenge (SGS&C) is the premier venue for recognition of excellence in the field of Serious Games development. 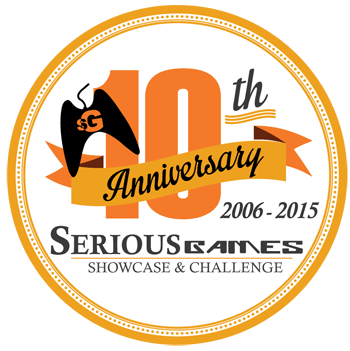 To learn more about Serious Games, please visit the Serious Games page and the Showcase to see examples of some of the best Serious Games in the world. Stay informed re: the latest developments in Serious Games and the annual I/ITSEC Conference. (We respect and protect your privacy and never share your contact information with third-parties). SGS&C prides itself on helping foster creativity and innovation in Serious Games since 2006 as part of the Interservice/ Industry Training, Simulation and Education Conference (I/ITSEC), the world’s largest modeling, simulation, and training conference held each November in Orlando, FL. For more information, please visit the I/ITSEC website. © Copyright 2017 Serious Games Showcase & Challenge. All rights reserved.